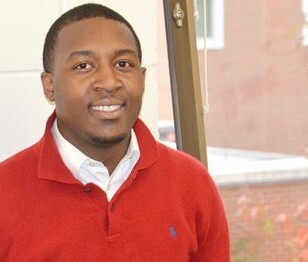 Following his graduation from Auburn’s College of Business in 2012, Schavion Graham became involved in a campus program called FIND – Finding Inclusiveness through Networking and Diversity. The program was sponsored by the Black Student Union and the National Panhellenic Council. Graham developed a close relationship with College of Education Associate Professor Jared Russell, who accompanied the teaching cohort to Africa. He learned from Russell that people everywhere desire the same thing. Following his Malawi experience, Graham was inspired to someday help mentor young people himself. Russell noticed a change during the adventure. After much thought, Graham applied to the master’s program in Higher Education Administration. Graham graduated with his M.Ed in May of 2014 and took a position in Human Resource Management with the Target Corporation. It was in this job that he found out how much he missed being in a campus environment. In addition to the mentorship and confidence he gained from his field experiences with Jared Russell, Graham said he also benefitted from his classroom work with Professors Jim and Maria Witte in the Foundations of Education, Leadership, and Technology Department in the College of Education. In his last year on campus Graham served on the College of Education Diversity Committee, where he says he saw a genuine commitment to inclusion on the part of the College. Russell served on the committee at that time, as well.